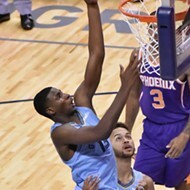 If you watched Friday night's home game against the Sacramento Kings, you know the first quarter was the Jaren Jackson show. On the first offensive possession of the game, the Grizzlies pitched it to Jackson in the low post, and he scored as easily as one pours syrup on a pancake. The Grizzlies leapt out to a 15-2 run, fueled by Jackson's nine points, including a made three-pointer and at-will scoring in the post. It helps when your post footwork is ahead of schedule and your touch is softer than an infant's hair. Nemanja Bjelica couldn't guard him for beans, and had a rough go while guarded by Jackson on the other end. 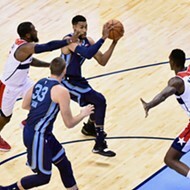 Memphis also benefited from 66.7 percent three-point shooting in the first quarter, with Jackson, Garrett Temple, Omri Casspi, and MarShon Brooks each sinking a three. The Kings got going near the end of the first period, however, with help from a speedy and electric De'Aaron Fox. He converted on a buzzer-beater to get the Kings to within one point heading into the second quarter. The second quarter was defined by two nasty Wayne Selden dunks. Selden attacked the rim three times from the arc, finishing with two jams and an and-one elevated lay-in. Fans were also treated to more of Jackson versus the Kings' number-two draft pick, Marvin Bagley, and Jackson dominated the matchup. In one sequence, Jackson blocked Bagley in the post (he ate his lunch y'all), and finished over him on the other end. Did the Kings fumble the Bagley by not drafting Jaren Ja... *special ops shoots me in the neck with a tranquilizer. 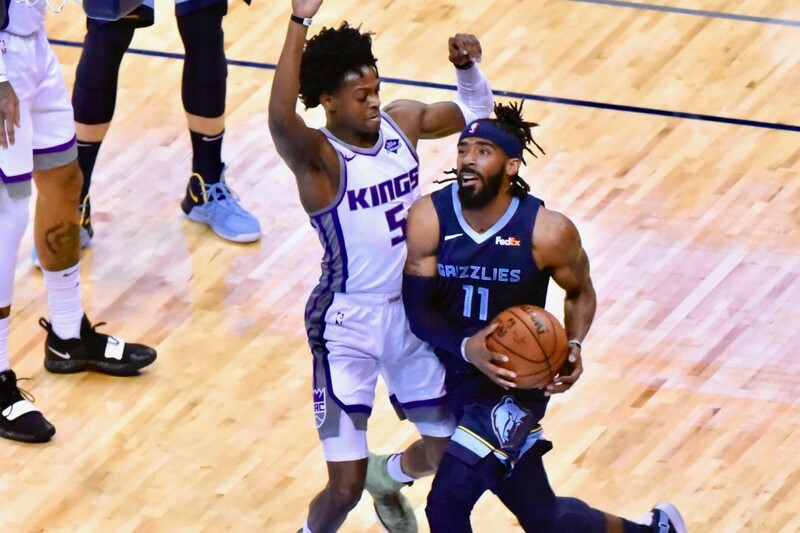 The Kings took the lead briefly in the middle of the second quarter, but the Grizzlies battled back and went into halftime up 62-51, after Conley hit a floater with 3.4 seconds left. Fox got a shot off on the other end, but Jaren Jackson blocked it at the buzzer. The Grizzlies never trailed in the second half. 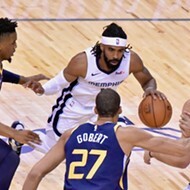 On one of the first possessions of the third quarter, Conley no-look deflected a pass that resulted in Marc Gasol getting fouled at the other end. The Grizzlies defense is scary good. Memphis went back to their bread and butter to start the game in the second half, tossing the ball down low to Jackson and letting him feast. The Kings simply had no answer for him. He set his NBA career high in points (27), converting an alley-oop lob from MarShon Brooks. Jackson also finished the night with six boards (four of which came in the first quarter). In his postgame press conference, Coach J.B. Bickerstaff lauded Jackson's performance and potential, saying: "He's just figuring it out. 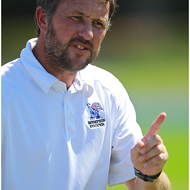 That's the blessing of it, is that he doesn't even understand how good he truly is yet." Bickerstaff didn't finish the game with Jackson, however, opting to sit him in the final minutes, again. Familiar face Troy Williams made some clutch plays for the Kings and sank a couple triples down the stretch, and Sacramento got within three points in the final minutes of the game, but the Grizzlies managed to pull away just enough to close it out. Two possessions at the end stood out. One featured the Kings' Iman Shumpert getting a second-chance opportunity in the corner. He waved off his teammates and shot a turnaround three-point airball over Garrett Temple. 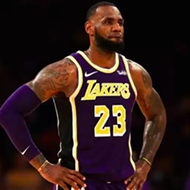 The other happened when the Kings trailed by three with 1:41 to go, and an ultra-aggressive Gasol drove through all sorts of contact and for an and-one finish. Gasol would end the night with 19 points and 15 rebounds, and set the Grizzlies' franchise rebounding record (with former record-holder Zach Randolph in attendance, no less!). Conley had another solid scoring night, tallying 19 points on 7-16 shooting. He only hit 1-4 from three, but facilitated the offense well and notched six assists. It must be nice for both Conley and Gasol to be able to feed the rock to Jackson to start the game and the second half, and let him get his own buckets without either of the Grizzlies' elder statesmen having to exert much energy. De'Aaron Fox and Buddy Hield led the way for the Kings, combining for 35 points. Fox finished the game with a game-high 10 assists, and was the fiery engine for the Kings' offense for most of the night. Their high level of play wasn't enough to earn the win on this go against the Grizzlies, however. 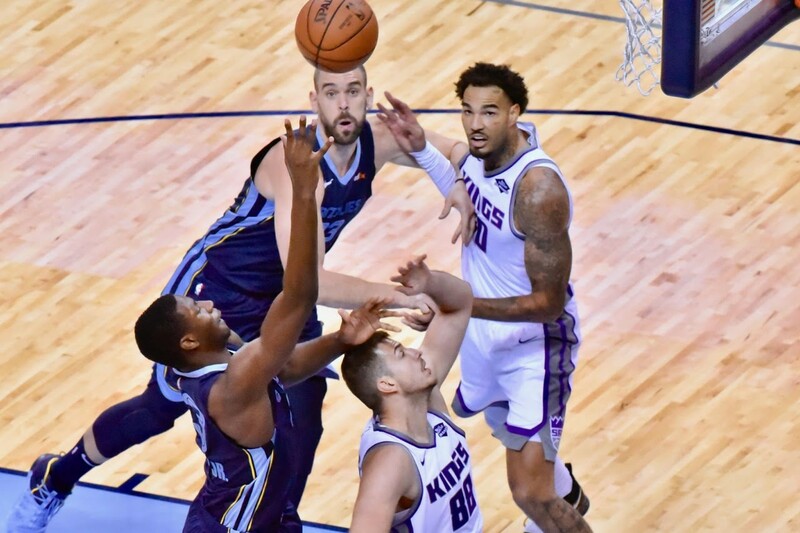 The Grizzlies were back to their usual ways of protecting the rock in this game, turning the ball over only 13 times to the Kings' 21. Memphis also won the battle in the paint 54-42. One weak spot for the Grizzlies was their free throw shooting. 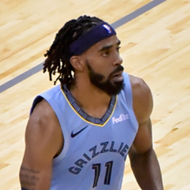 Conley missed consecutive free throws for the second time this season, and the team shot only 62.5 percent on 24 shots from the charity stripe. 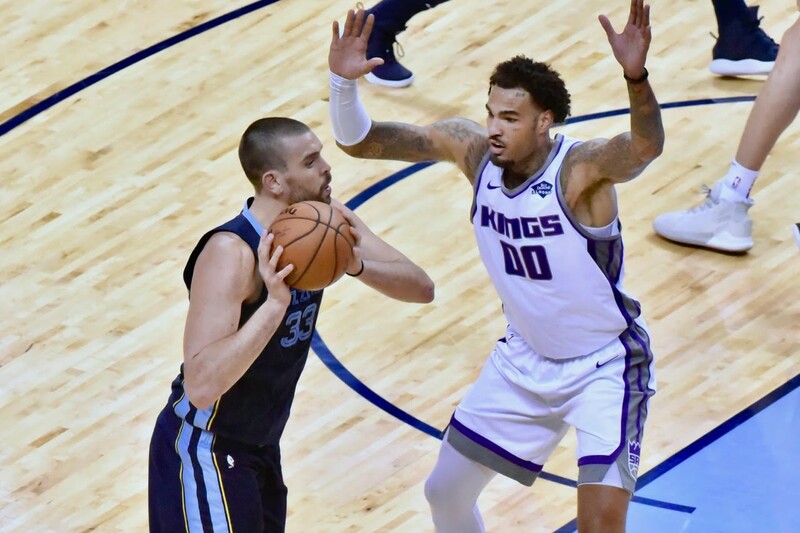 The Grizzlies also continued to give up a hearty helping of open looks from deep, and are lucky that the Kings converted on just 12 of their 33 attempts. While ZBo has yet to suit up for the Kings this season, nothing was going to stop him from seeing his daughter sing in the Lausanne choir at FedExForum Friday night. He also caught up with old teammates, coaches, and FedExForum employees. The Grizzlies return to action when they take on the Jimmy Butler-less Timberwolves in Minnesota on Sunday at 2:30 p.m.
Is It Time To Worry About Mike Conley?